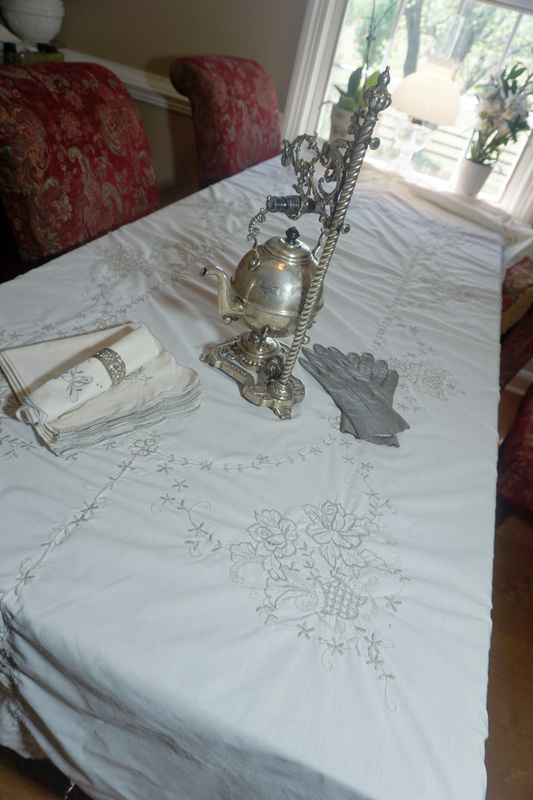 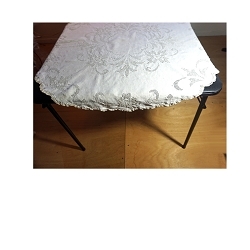 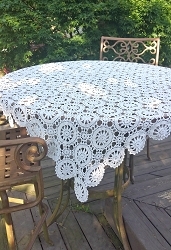 This tablecloth isn't old, but it's nicely made and required no more than a light ironing after I dried it on the clothes line. 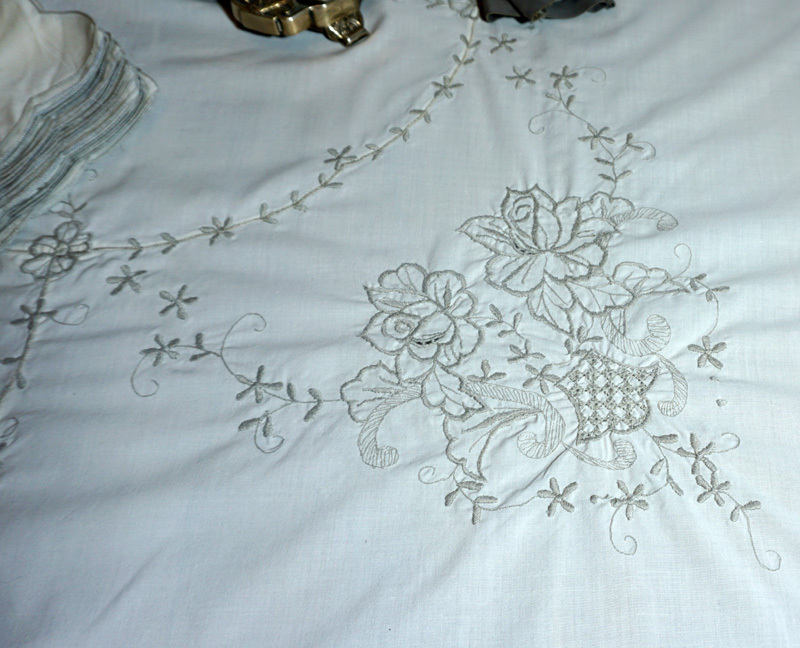 Eggshell with gray embroidery. 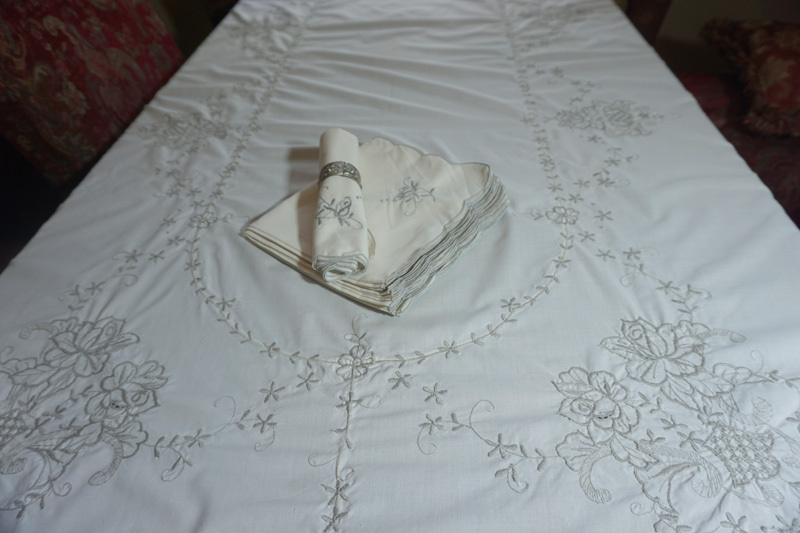 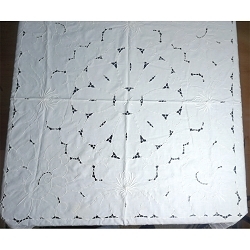 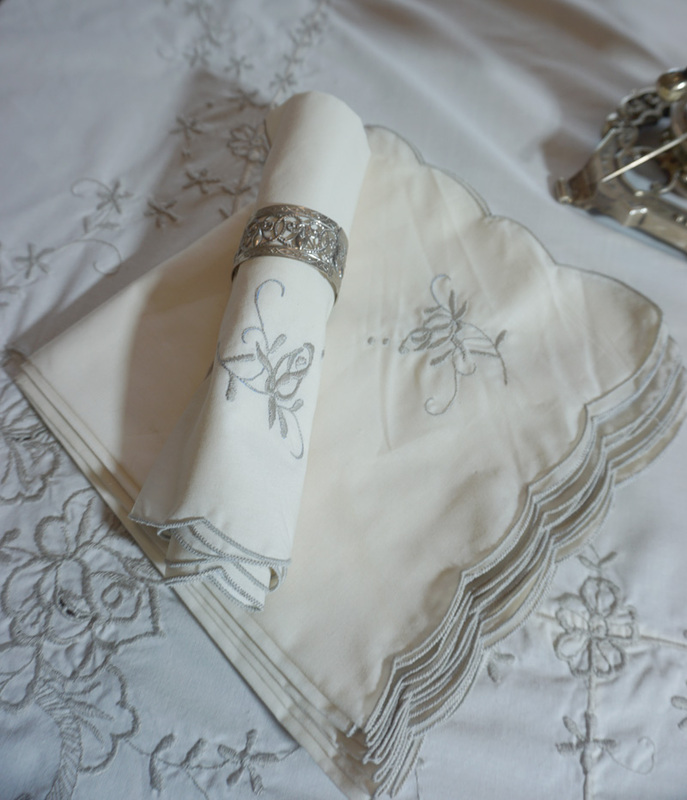 The tablecloth is generously sized at 100 x 63 and includes 12 matching napkins for a large dinner party or family gathering. 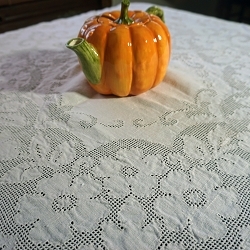 This will look great with your grandmother's silverware!